Hey ya’ll! 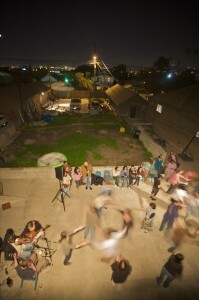 The Foot will be hosting a square dance on a hill top above downtown los angeles on July 18th. Block out the time, and stay tuned for more info! This entry was posted on Thursday, June 25th, 2009 at 11:22 pmand is filed under . You can follow any responses to this entry through the RSS 2.0 feed. Responses are currently closed, but you can trackback from your own site.